Nestled between Wilderness and Mossel Bay on the Garden Route lies a little gem called Ballots Bay. 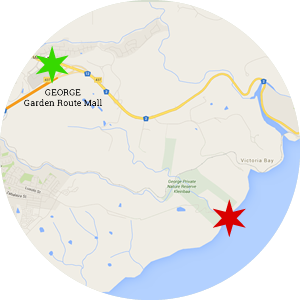 It is a nature lovers delight and a true getaway, yet only 15 minutes from George. Ballots Bay is a Garden Route hideaway a mere 7km away from the bustling town of George, Victoria Bay and Wilderness. It offers a most unique experience, in a setting where nature is treasured and respected. It is breathtakingly beautiful, and one of the most surprising and upmarket wilderness gems along the Garden Route. Ballots Bay is located within the George Private Nature Reserve, and as such is private and secure. A remote controlled and manned access boom ensures that only authorised holiday makers enjoy paradise! The rugged coastline prevents any outside pedestrian access to the bay. 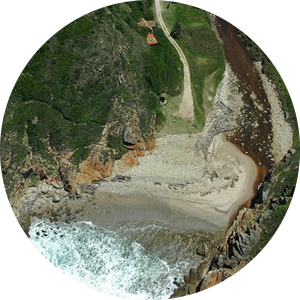 One of the true Gems on the Garden Route - Complete with Lost Treasure! Ballots Bay is both a natural gem in its breaktaking beauty and a true treasure tale in von Mollendorf’s lost treasure. History reports that in around 1788, a Prussian field marshal’s son was shipwrecked in the bay and lost his iron strongbox. For many years he would come down to the bay to see if it had washed up and in subsequent years a few attempts have been made to remove the strong box from its place in the rocky reef. You can read more about this over here in Chapter 5 of South African Beachcomber by Lawrence G Green. Why not come see the bay for yourself and enjoy the gem that nature has bestowed on us. Still not convinced Ballots is for you? 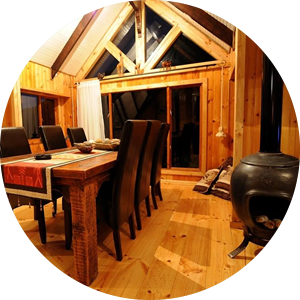 You can find other self catering holiday homes on the Garden Route here.